Biomass currently accounts for about 15 per cent of the global primary energy consumption and is particularly important as an energy resource in developing countries. It will undoubtedly play an increasing role in the world's energy consumption. Which crops make up this large percentage of our energy resources? Where do they grow and what can be done to boost the levels of production? What impact does their cultivation have on the environment and development? The book starts with aspects of biomass accumulation, harvesting, transportation and storage, as well as conversion technologies for biofuels. This is followed by a look at the environmental impact and economic and social dimensions, including prospects for renewable energy. The book then goes on to cover all the main potential energy crops. For each main species it gives a brief description, outlines the ecological requirements, methods of propagation, crop management, rotation and production, harvesting, handling and storage, processing and utilization, then finishes with selected references. 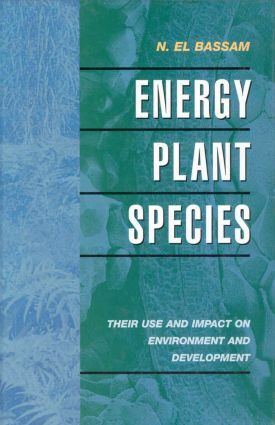 All those whose work involves biomass production, whether as agriculturalist, student, farmer, producer, planner or policy maker will find this book an invaluable reference work. Dr N. EL Bassam is Head of the Energy Crops Research Unit of the Federal Agricultural Research Centre (FAL), Braunschweig, Germany and Chairman of the Working Group: Biomass for Energy and the Environment, SREN, of the Food and Agriculture Organization of the United Nations. The book is based on contributions from a distinguished panel of experts from around the world.